This web site (“Web Site” or “Site”) is operated by GREEN CAPITAL CONSULTING LIMITED (“GCC”) a company incorporated and registered in England and Wales, Registration No.7874310 with its registered office at Regency House, Westminster Place, York Business Park. York YO26 6RW. The information you provide is either manually or electronically stored in our databases. We may combine Personal Data collected from you via this Web Site with information from other GCC services or third parties to provide a better user experience, including customizing content for you. To comply with money laundering regulations, we may need to request additional evidence of identity from you, and may use a credit reference agency for this purpose (which will record that an enquiry has been made). A cookie is a small piece of information which is sent to your browser and stored on your computer’s hard drive. Cookies do not damage your computer. You can set your browser to notify you when you receive a cookie. This enables you to decide if you want to accept it or not. If you choose not to accept cookies from our Web Site you may not be able to access and use all or part of the Web Site or benefit from the information and services it offers. To provide the services and/or products you've requested, including services that display customized content and advertising. To process and respond to your enquiries and requests for information and services. To contact you occasionally to inform you of products and services provided by us or third parties whose products and/or services we think you may be interested in. We may contact you by letter, telephone or email for this purpose. To send you newsletters, update emails, and other information that you may request. To inform you of promotions we are running or intend to run and enter you into prize draws. For the purposes of auditing, processing, servicing and maintaining accounts and transaction records. For the purposes of research and analysis to operate and improve GCC technologies and services, including but not limited to servicing, monitoring and maintaining our Web Site and servers. To monitor and archive communications with you. We may use your Personal Data for sales and marketing purposes and market research. To carry out credit checks, money laundering checks, identification authentication or verification checks. To comply with legal and regulatory requirements and to resolve disputes. To process your job application and other employment related matters. We keep your Personal Data only for as long as reasonably necessary for the purposes for which it was collected or to comply with any applicable legal or regulatory requirements, or our data retention policy. We understand the importance of ensuring that your Personal Data is secure and protected. We use a variety of security technologies and procedures to help protect your Personal Data from unauthorized access, use, and disclosure. In order to provide you with the information, services and/or products which you have requested, Personal Data may be transferred or shared with our offices, branches and subsidiaries and with third parties who act for us for further processing in accordance with the purposes for which the data was originally collected or for purposes to which you have subsequently consented. For example, sometimes a third party may have access to your Personal Data in order to provide customer support services to us or to support our information technology or to handle mailings and sales and marketing campaigns on our behalf. Where appropriate, before disclosing Personal Data to third parties to assist us in processing your Personal Data, we will contractually require that they take adequate precautions to protect such data and to comply with applicable law. 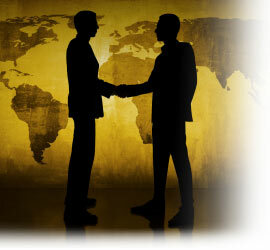 We may also share information with third parties for the purposes of complying with legal process or regulatory requirements, for the administration of justice, preventing fraud or imminent harm, ensuring the security of this Web Site, our databases, network and services, to take precautions against legal liability, or in the event of our sale, merger, reorganization, transfer of business, dissolution or similar event. If we sell or buy any business or assets we may disclose your Personal Data to the prospective seller or buyer of such business or assets and we may transfer your Personal Data to any such buyer. We may share aggregated non-personal information with third parties outside of GCC. GCC processes Personal Data on its servers in [the United Kingdom and in other countries] nbsp; If you visit our Web Site from a country other than a country in which our servers are located, the various communications will necessarily result in the transfer of information across international boundaries. GCC may also transfer Personal Data between our offices, those of our subsidiaries and third party processors which may be located worldwide. Where your Personal Data is transferred to a country outside the European Economic Area, GCC will ensure that recipients of Personal Data agree to keep your Personal Data confidential and hold it securely in accordance with applicable data protection laws. BY PROVIDING US WITH YOUR PERSONAL DATA, YOU CONSENT TO THE PROCESSING AND TRANSFER OF YOUR DATA AS SET OUT IN THIS SECTION. We take children's privacy seriously. We recognize that children’s use of the Internet and e-mail raise special concerns regarding privacy and security of information. We do not encourage children to participate in providing us with any Personal Data. We ask that children (17 years of age and under) do not submit any Personal Data to us. If you are under the age of 18 years, please use this Web Site only under the approval and supervision of your parents or legal guardian(s). Parents and legal guardians should note that we will ask you to verify your identity to ensure that your child’s information is not given out improperly. This will be done in accordance with our terms and conditions. We remind and encourage all parents, caregivers and guardians to check and monitor their children’s online activities. Please help us protect the privacy of your children by ensuring that they never send e-mails or submit Personal Data on this Web Site or any other web site without your permission. We do not seek to collect Personal Data about children through its Web Site. If we become aware that a person submitting Personal Data to us through any part of our Web Site is a child, we shall take all reasonable measures to comply with applicable law to protect such child. Upon receipt of your written request and enough information to permit us to identify your Personal Data, we will (subject to certain legal exceptions to the requirement to disclose under applicable law) disclose to you the Personal Data we hold about you, for which we may make a small charge. Parents and legal guardians should note that to the extent that you have given consent for the collection and use of the Personal Data of a child under the age of 17 you can revoke that consent at any time upon request to us and we will stop collecting, using or disclosing any such personal information. Please remember that stopping the information that you receive from us about our products and services may not benefit you. For example, we will not be able to inform you about new products or promotions we think you may be interested in. We are continually improving our methods of communication and adding new functionality and features to this Web Site and to our existing services. Due to these ongoing changes, changes in the law and the changing nature of technology, our data practices will change from time to time.